So, if you’re among those wondering about what exactly is blockchain, don’t worry, this article is an easy guide on the blockchain technology for beginners. Many people think that the technology is newly invented. But the fact is that it was first sketched in 1991 by two researchers Stuart and W. Scott, who wanted to create a technology where documents could not be tampered with. 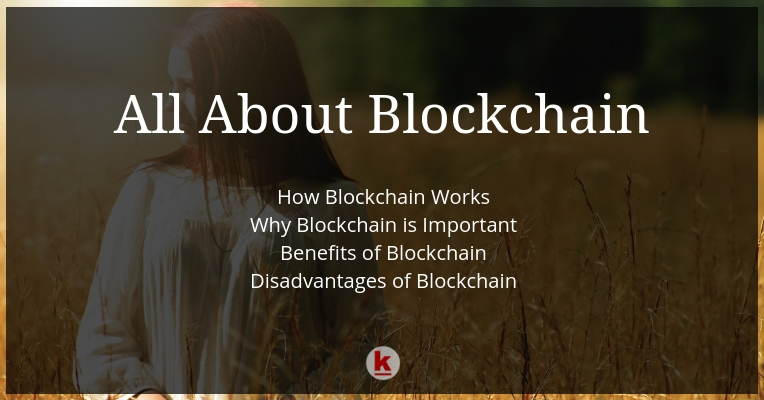 However, it was in January 2009 that Blockchain had its first real world application i.e. Bitcoin. But why the name: blockchain? Because, it is a chain of blocks where the digital information (the block) is stored in a public database (the chain). An ideal blockchain consists of multiple blocks strung together. The aim is to allow to record and distribute digital information over a network. Part of the network, called “nodes” validates the data. We won’t be wrong in saying that blockchain is bringing a revolution in the world of technology. However, only time will validate the scope of blockchain in the future. As we proceed, we shall know how and why blockchain is important. Blockchain uses a peer to peer network of computers to validate transactions. It allows users to make and verify transactions easily without the need of a central authority. Once you make a transaction online, each and every detail related with the transaction i.e. the date, time, the amount, everything is stored in a block. This information is crypted and is stored as a unique string of numbers and letters called a hash. Each transaction is entered in the order they occurred. And each hash generated depends not only on the transaction, but the hash from the previous transaction as well. The nodes inspect the hash to validate the transaction and once a majority of nodes approve it, it is written into a block. Remember those days when funds transferred from one account could literally take days to get to another account? Validating the transaction would take up so much time. And with information present on a central server and the easy access to users, the question of security arises. Anyone with access could tamper with the data and large amounts of data on central servers are targets for hackers. 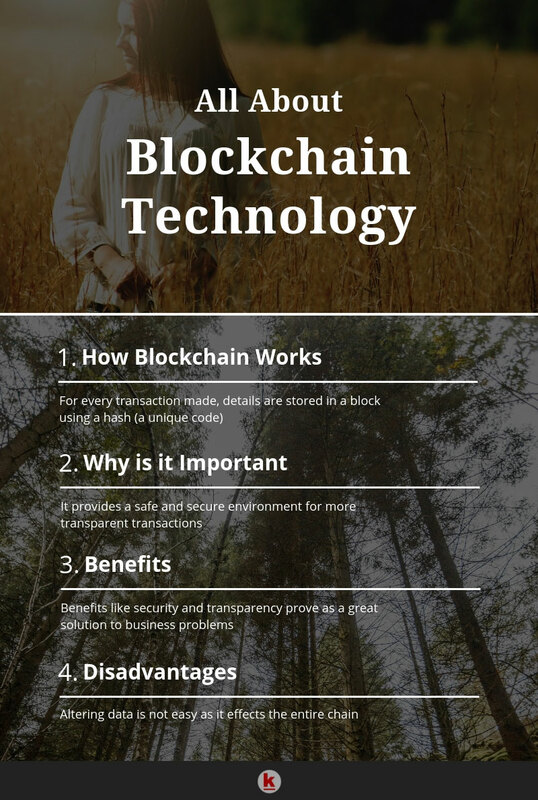 The main aim of blockchain is to provide a low cost, safe and transparent environment for secure transactions. With the scope of blockchain being able to adapt to many changes, it can cater to many industries. The blockchain technology can be used in various domains like financial institutions. You can easily create a record of who has accessed the information and set controls on who can see the information. Tampering with data is not easy as it is stored across a large network of computers, with each having the exact same copy. One would have to change the data on at least 51% of the network, which is near impossible to do. A good example of this is an international transaction that takes few days to complete. With blockchain, the same transaction can be completed in a few minutes, securely and no one can tamper with it once the transaction is validated. Blockchain network is way better than the traditional methods of saving records on papers. The details of every transaction are stored across the network, which makes it difficult for hackers to hinder with the security. This is the reason why industries such as finance, banking etc. where the data shared is sensitive, are turning to blockchain technology for a solution. A piece of data that is shared via blockchain technology is complete in itself, accurate and consistent with all the members. The distributed structure of blockchain makes it possible for users to control and access details about the transactions. One can clearly access the transaction histories done in the past. 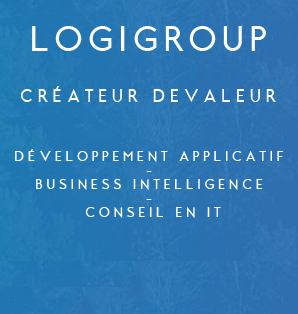 If your company deals with products that are complex in nature and passes through various computer networks. Then it is quite possible that you might never know where the product originated and where it was finally delivered. But with blockchain, you can easily trace the entire journey that the product made throughout the network. This helps prevent any fraud or manipulation. It is not impossible for hackers to hack data on a blockchain network, but it is way too difficult to understand every single block. Hacking such a network is not worth the efforts put in and the larger the network gets, the tougher it is to hack. If a single data in a blockchain network is to be altered, then the complete set of related data also needs to be changed. Thus, if at a certain point of time you need to alter even a single data entry, then you need to go through the entire process of changing every related data. For not so techy people, understanding how virtual transactions take place can be a bit difficult. So understanding how blockchain works can be difficult to explain to the people who are not as familiar with technology. Although, what we mentioned in this article is just a crux of this technology. We hope that you are now a little more familiar with it. Want to publish your articles on our website? Read our terms for guest posting! Blockchain is a simple enough concept to grasp. I feel like this concept is overhyped.